Welcome to the Freaky Friday Virtual Holiday Cookie Exchange! 17 bloggers got together and were secretly assigned another blog to select a Christmas cookie or treat from. This was sooo much fun! We are all finding out the same time as you, who was assigned to each other, and to ourselves! Be sure to check out the links at the bottom of the page, and find what recipes everyone else found for their new holiday treats! They are sure to be tasty and delicious! I was so excited to get Lisa's Dinnertime Dish. Lisa lives in Minnesota, and reading her blog just takes me back home! Whether she is hunkering down for a cold winter, with some tasty dishes, or getting food ready for the cabin up north, Lisa has some good eats to share! While looking through Lisa's blog to see what I was going to make for Freaking Friday, I found her Peppermint Holiday Bark. I am definitely making this for Christmas! And you really need to check out The World's Easiest Fudge. It looks so decadent! I know this isn't a sweet or a treat, but you need to check out Lisa's Favorite Christmas Eve Dinner! Ok, so what I did decide to make is White Chocolate Candy Cane Cookies! Oh my gosh.. I have never made this cookie, and I love them! Due to my limited shopping, I did have to make a substitution in the recipe. Lisa uses crushed candy canes. I could not find a candy cane any where on a shelf here in rural Wisconsin, but I did find Peppermint Crunch Baking bits. I really liked these, since I think it took the peppermint flavor down just a notch, and I loved it! Preheat oven to 375 degrees. Line baking sheets with parchment paper, set aside. In small bowl, combine flour, baking power, baking soda, and salt. In large mixing bowl, cream the butter, brown sugar, sugar, and vanilla until smooth. Add egg, beat to combine. Add dry ingredients to butter mixture mixing until ingredients completely combined. Add candy cane bits and white chocolate chips, stir by hand until evenly distributed. Using small cookie scoop, drop dough onto cookie sheet three inches apart. Bake for 8-9 minutes or just until turning golden. Cool for 5 minutes on cookie sheet, then transfer to cooling rack. i can tell just by looking at these, the texture is perfect--chewy and toothsome! 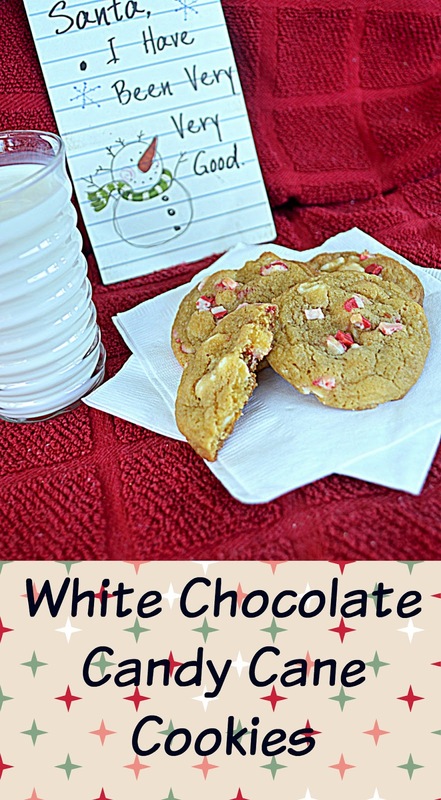 i love peppermint with white chocolate and i think this is a winning recipe, especially for christmas! there would be no cookies left for santa. Santa just could miss out on these! My husband is a huge fan of white chocolate...these would make him really happy. They look chewy and delicious. 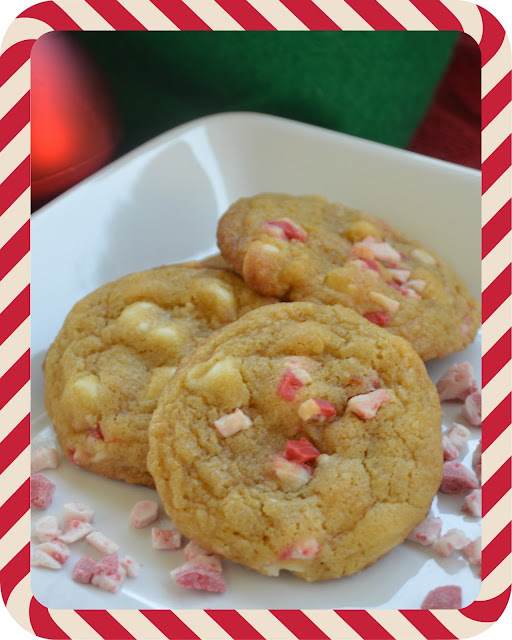 I love white chocolate and candy canes, can't wait to make these cookies! Also love that they are made from scratch, it's so easy! Pinning for later, thanks for sharing! Santa (and ME) would love to see these waiting for them!! Perfect Christmas cookie!! 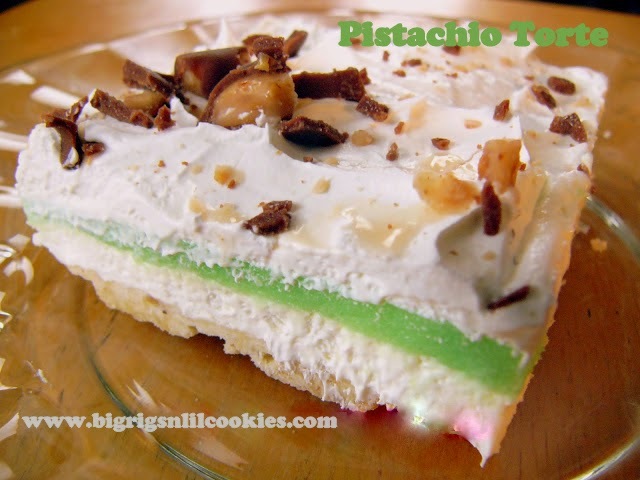 I tried making a recipe kind of like this one and it flopped! Now I'll have one that's a proven winner! Approved by me and Lisa, you are sure to be pleased! Yummy!! We love peppermint during the holidays. I usually make my homemade peppermint ice cream, this cookie would go great with it! Oh my gosh.... That would be a perfect match! I always buy extra candy canes so I can make treats like this - can't wait to try them!! Smart to have the extra candy canes on hand! This is my type of cookie; holiday or not! Love the flavor combo and they look picture-perfect for dunking! Great job with these!! I am loving this one!! I adore that many flavor in a sweet cookie! I'm baking and taking these! They're the perfect holiday cookie for my work. I'm making another batch to take to work too! I was so surprised that we had each other! To fun!! You definitely had a winning cookie recipe, Lisa! Kris, these look PERFECT for the holidays, can't wait to make them! These look amazing! I am ready for some Christmas cookies and a bit'o peppermint. Have a great Thanksgiving! I love peppermint at this time of year! These look great! These are definitely a cookie my entire family would enjoy! Love the flavors!!! These cookies are absolutely perfect for the holidays!! I really love white chocolate in baking and with those little chunks of candy cane too they just look wonderful! They really have the perfect combination! These are making me sing Christmas carols in my head and start putting up the tree! I want a huge batch of these cookies in my stocking! Santa isn't going to leave once he tastes these cookies! Peppermint and white chocolate are so good together! haha!! It really is a great combination! I am so sold on the peppermint bits for the same reason. I will probably have more peppermint treats this season since I have found these! I like those peppermint bits too...I used most of mine up making truffles though. I should probably find some more to have on hand. Your cookies are so festive...I really love the combo of white chocolate and peppermint bits! I bet the bits are outstanding in truffles! I hope that recipe is on your blog... going to check for it now! Yummy! These are so cute, I bet they are delish. They are! I know you would love them! Hi Kris, these cookies look delicious, what a fun club to belong to. What a pretty Christmas cookie! Wonderful! Thank you! I like when they look festive without a lot of fuss!